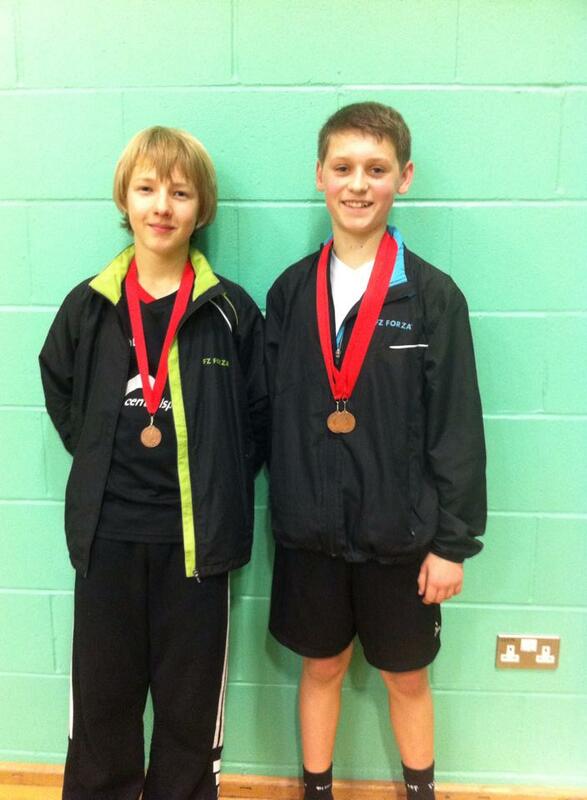 Bronze medals for Leicestershire duo in Bucks U15 tournament! Martin lost a close semi-final match, 19-21, against a tough Warwickshire opponent to take bronze in the boys singles. Then on to the boys doubles semi-final with Tom. Initially it looked like they had got the strong Surrey partnership sussed but lost a close battle, 19-21, to take the bronze in this event too.